Tennis: Federer to take on Nishikori and Thiem will battle Anderson in the ATP Nitto Finals. In the ATP Nitto Finals, the Leyton Hewitt Group begins with Roger Federer versus Kei Nishikori and Dominic Theim versus Kevin Anderson at the O2 Arena in London on Sunday. Roger Federer has a 7-2 record against Kei Nishikori and has beaten him twice in 2018 alone, and six consecutive times since 2014. Their last close match was the pre-quarters of the 2017 Australian Open with Nishikori extending Federer to 5 sets. Roger is 55-13 at ATP Finals and 46-8 in 2018. He has played inspired tennis since October and won the Basel Open and stretched the recently crowned number one, Novak Djokovic into three at the Paris Masters just last week. ATP Tennis: Djokovic narrowly escapes a loss to the 37-year-old Federer at the Paris Masters 1000. Federer’s has the added incentive to do well at this event. Federer also has the added incentive to win his 100th career title and reclaim the second slot in the ATP rankings by performing well here. Roger Federer came dangerously close at taking Novak Djokovic out in the semi-finals of Paris Masters just last week. The match was a nail-biting thriller with Novak barely able to squeeze a 6-7 (6), 7-5, 6-7 (3) win over the old man. Roger may relish his chances, of taking Novak out, a little more here. Nishikori cannot be taken lightly by Federer. 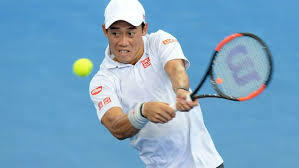 The 28 years old Nishikori is coming off an injury layoff and a respectable 42-19 for this year. He missed the first quarter of 2018 due to an injury but made up nicely by reaching the semi-finals at the US Open and making the finals in Tokyo and Vienna. He has also advanced to the semis in two of his past three appearances at this event. Kei Nishikori is always a threat on hard surfaces and cannot be taken lightly by the Maestro. 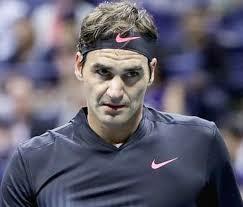 Outcome: Roger Federer over Kei Nishikori in three. Kevin Anderson versus Dominic Thiem. Dominic Thiem has traditionally underperformed in the fall stretch of the tennis season. This time around, however, he reached the semi-finals at the Paris Masters last week, and won the St. Petersburg event after winning both his Davis Cup rubbers against Australia in September, and reached the quarterfinals of the US Open. He has won three titles with a 53-18 win-loss record in 2018. His 2-4 career-record at the year-end ATP Finals and 2-6 head-to-head record against Kevin Anderson have been less than stellar, but both wins against Kevin, however, have come in 2018. Kevin Anderson has enjoyed a stellar year. 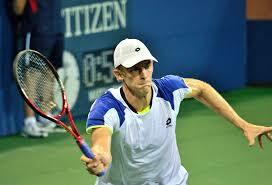 Kevin Anderson has enjoyed the best career-year so far. He reached the finals, by beating Federer in the quarters, of Wimbledon, and is 45-17 for the year with a 6-2 career-record against Thiem. Both his titles, this year, came on the hard indoor surface and that makes him a dangerous contender here. He will look to inflict pain in his first ATP Finals. Outcome: Kevin Anderson over Dominic Thiem in three. ← Tennis: Stefanos Tsitsipas versus Alex De Minaur – an analysis of their playing styles and match at the ATP NextGen Finals in Milan.